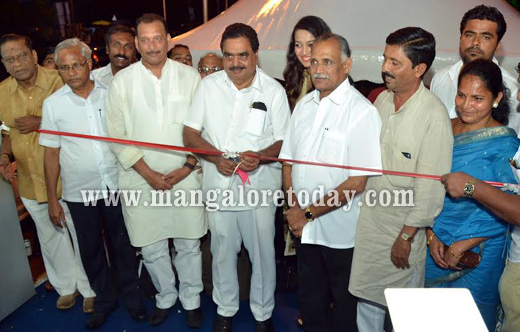 Mangalore, Sep 08, 2014: The National Consumer Fair at Mangalore, Karavali Utsav Grounds was ceremonially inaugurated on September 6 by district in-charge minister B Ramanatha Rai . Minister Rai after the inaugurating the fair said “Let this National Consumer Fair be full of success and enterprise. Let people who visit get what they desire a lot of satisfaction.” He wished the organisers good luck for the effort put in. 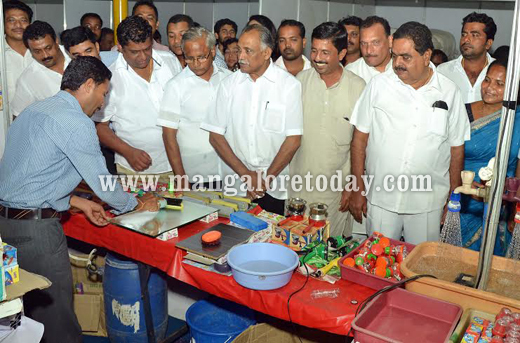 The minister for youth affairs and the fisheries, Abhayachandra Jain inaugurated the exhibition stalls. 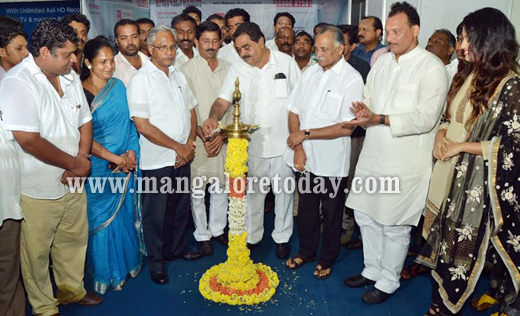 MLA of Mangalore South constituency JR Lobo, MLC Ivan D’Souza, mayor Mahabala Marla, deputy mayor Kavitha Salian, the director of the Fair Gautham among others were present on the occasion.Cine star Ester Noronha graced the occasion to enhance its pleasant inauguration. The exhibition has about 220 stalls, offering attractive discounts and special offers. Among other things it has on show and sale, automobiles, domestic appliances, kitchen appliances, solar products, hand looms, handicrafts, dress materials, fashion, footwear, health and fitness equipment, toys, books, stationary, food products, consumer durables and so on from all over India. A large boating pool for the visitors, children’s boating pool, latest amusement rides from Europe like dragon slide, country car, battery car have also been lined up for the enthusiasts. The exhibition will be open on all days from 4 pm to 9 pm for 45 days. It is a must visit event.